Sun damage, also known as photo damage, refers to the damaged caused to the skin due to the harmful UV rays. Uncontrolled sun damage and repeated, unprotected exposure to the sun may cause early aging of the skin and increase the risk of serious diseases such as skin cancer. Sunlight carries ultraviolet (UV) radiation that can be harmful for the skin when it comes in direct, frequent or prolonged contact with the skin. UVA and UVB are two basic types of UV rays. UVA rays are more dangerous for the human body. These rays tend to penetrate deep into the skin and are one of the key causes of early aging. Prolonged contact with UVA rays may also cause skin cancer. UVB rays, on the other hand, primarily affect only the superficial surface of the skin. Sunburns are typically caused due to UVB rays. Primary or direct exposure to the sun is not the only cause of sun damage. Secondary sun exposure occurs when you are not deliberately seeking the sun. It may occur during everyday activities such as walking towards the parking lot, driving to work, or simply sitting near a sun-facing window. Secondary exposure to UV rays may even occur in places where you are least expecting it. It can occur when you are indoors, in the shade, or even on cloudy days. An average person is exposed to more than 10 hours indoor UV rays in a week. Another seven hours of exposure to outdoor UV rays occurs in a week on average. In other words, an average person may receive about 20 hours of weekly UV radiation exposure without a suitable protection. For people living in sunny climates, the likelihood of sun exposure increases. 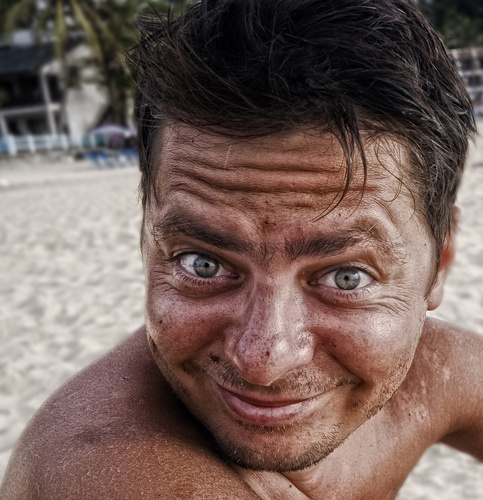 Everyone is vulnerable to sun damage, but some people may have a higher risk than others. People who have suffered sunburns in the past are at a relatively higher risk than others. People living in hilly regions are also exposed to higher UV intensity. People with fair skin and light hair are genetically more predisposed to sun damage. Those who engage in frequent outdoor activities are likely to be exposed more, which makes them more vulnerable to sun damage. Certain antibiotics and other medications may increase a patient’s sensitivity to the sun. People who have undergone certain cosmetic skin procedures should consult with their dermatologist for extra protection against sun damage.